Have you ever noticed that you’re surrounded by zombies and invading aliens and survivalist? 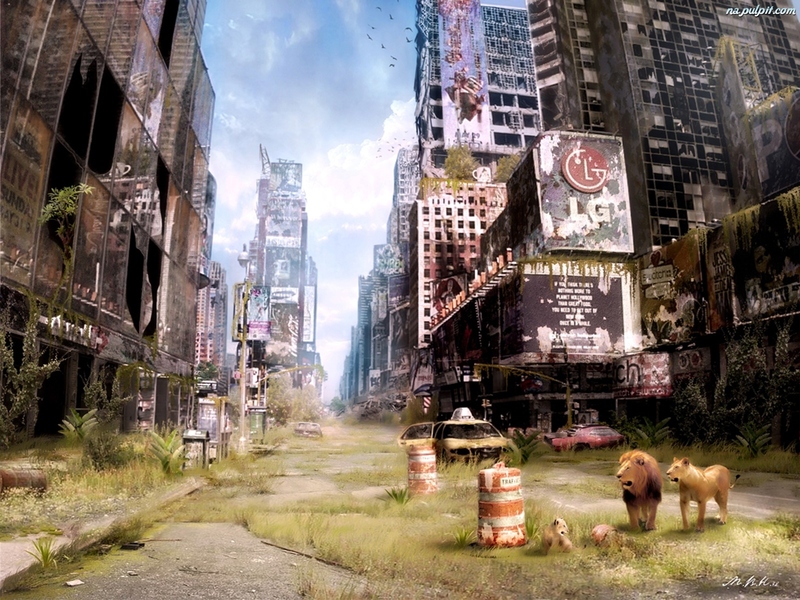 Stories about the end of the world are everywhere these days, from The Walking Dead to Elysium. Despite the fact that we can breathe a sign of relief with 2012 behind us, visions of the apocalypse still dance in our heads. So, to explore, I have been teaching a class at my college called Apocalyptic America, where we are trying to find out why our culture is so obsessed with the end. The answer is complicated and fascinating. Stories of the end of the world are as old as the world itself, but if you think we have a particularly bad case of the apocalyptic blues, you’d be right. Rapid changes in society, advances in technology, and a changing geopolitical landscape gave us any number of avenues for our fears to run down. Aliens, Dawn of the Dead, and The Matrix showed us that the end was at hand by robots, or aliens or worst yet ourselves. Even with Y2K a dud, the obsession with the end continued to snowball down the timeline from 2000, past 9/11 and straight towards 2012. Literally dozens of movies and television shows have played out the chess game of our imminent demise and the dark future that awaits us beyond the boundaries of our modern world. 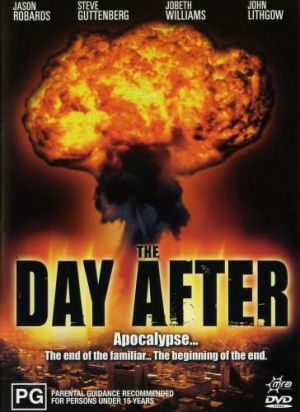 This week, the class took a look at the 1983 made for TV film The Day After. If you’re of a certain age, you’ll remember the hubbub around this film. Nearly 100 million people tuned in, and the film was followed by a televised debate on nuclear weapons, and accompanied by a toll-free hotline with counselors, school curriculum, and even a five episode series on conflict on Mr. Rogers to help children cope. I had debated including the film. With so many films to look at, The Day After seemed a bit dated, the Cold War seems a distant memory to my students. Though conflict, obviously, has been an all too present headline throughout college students’ lives, the threat of wholesale nuclear annihilation seemed to belong to another generation. But this past weeks events in Crimea and Ukraine made this 20-year-old movie seem as relevant as ever. At last week’s CPAC conference, keynote speaker Sarah Palin leveled criticism at Obama for choosing diplomacy over force in her usually eloquent and well thought out way. Sadly for Momma Bear, and all of us, she is woefully wrong. As terrifyingly demonstrated in The Day After, nuclear war leaves no winners, only casualties. Stopping Putin with nukes in Crimea is a recipe for MAD–mutually assured destruction. But even with all we know about the consequences of nuclear war, I was surprised to see news headlines this morning heralding a return of the nuclear age. 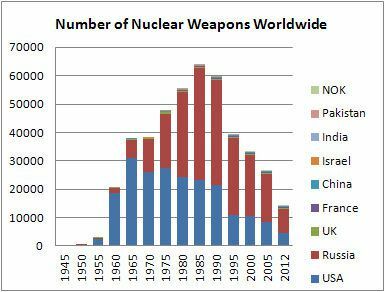 The number of nuclear weapons stockpiled by countries, armed and ready has declined through consistent and concerted efforts of antiwar activists. 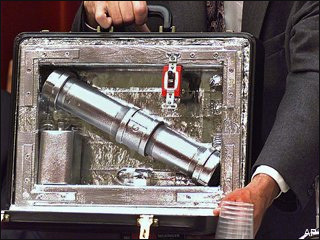 However, the amount of plutonium available through commercial production opens and avenue for rogues to obtain material for bomb making easier than ever before. The tension in Crimea reminds us that we still have work to do to make our world a stable safe place to live and grow in. We can’t ride in Grizzly-style and fight nukes with nukes, and we can’t think that nuclear war is a threat of the past. Instead of encouraging brute strength, use your political power to vote, advocate and petition to stop nuclear proliferation. Ronald Reagan watched The Day After, and he wrote in his diary that it changed his idea of a winnable nuclear war. He said , “we have to do all that we can to be sure that there is never a nuclear war. ” Shortly thereafter, Reagan helped to end the Cold War. So do me a favor: send Sarah Palin a copy of The Day After, and let’s not fight nukes with nukes.